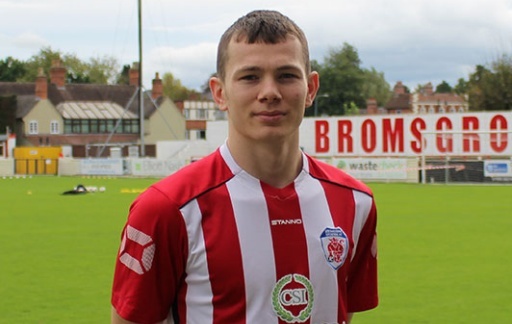 BROMSGROVE Sporting boss Brendan Kelly has confirmed the club have offered all-time top goalscorer Jason Cowley non-contractual terms. The former Redditch Borough hot-shot’s contract expired on May 4 and Kelly has been keen to try and get the fan favourite to agree terms as soon as possible. A non-contractual deal was put forward to the 22-year-old on Monday and Kelly is waiting to hear back from his leading man but is quietly confident of retaining his services. Kelly understands Cowley wants to test himself at a higher level, hence the reasoning for not offering a contract ahead of their Southern League First Division East berth. “We have offered him a non-contract deal because we would not want to stand in his way of progressing,” he said. “I think he is a little apprehensive of signing a contract because it ties him down and even if he was on contract, we would still not stand in his way of a move to a higher level club. “However, just because we are not offering a contract does not mean we are showing a lack of ambition to keep him. “I am quietly confident of keeping him because he loves the club and the club loves him. “He’s playing with a smile on his face, playing with his mates and it’s his local club. Sporting can expect some grand days out next season with trips to AFC Dunstable, Aylesbury, Aylesbury United, Barton Rovers, Bedford Town, Berkhamsted, Cambridge City, Coleshill Town, Corby Town, Dunstable Town, Evesham United, Kempston Rovers, Kidlington, North Leigh, Peterborough Sports, Sutton Coldfield Town, Thame United, Welwyn Garden City and Yaxley on the cards. And Kelly is hoping the step up in level will also see a greater away following at the Victoria Ground. “From a personal point of view I am looking forward to visiting new grounds that I have never been to before,” he said. “Judging by the average crowds of those clubs it seems we are going to be the ‘big boys’ again and hopefully we can see an increase in our support both home and away. “But the club has been looking at away following to the Victoria Ground as only the likes of Worcester City and Hinckley in the past two seasons have brought a sizable crowd with them.